Spoon scant 1/2 teaspoon dressing in center of each chip. Top each with pinch of carrot, bell pepper and 1 broccoli floret. Place on serving plate or tray; serve immediately. Take the stress out of last minute party preparations by placing the chips on your serving tray and measuring out the other ingredients so they are ready to go. 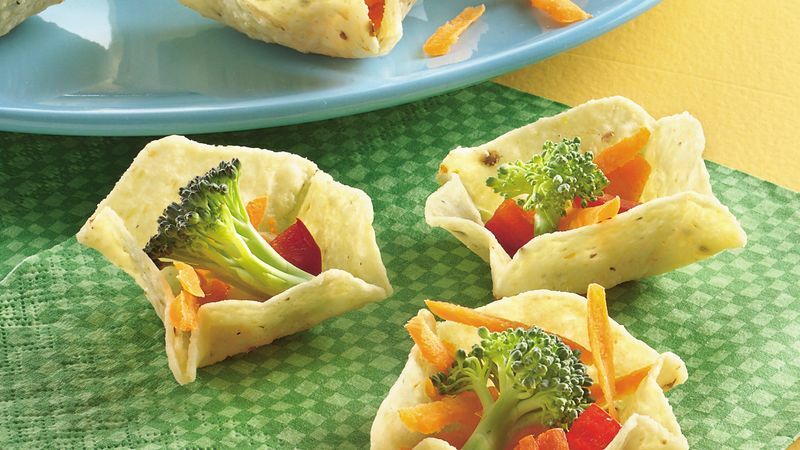 When it's time to serve, it will only take minutes to have these appetizers on the table.